Mouthguards Brisbane - Protect Your Teeth! WE COME TO YOUR SPORTS CLUB! 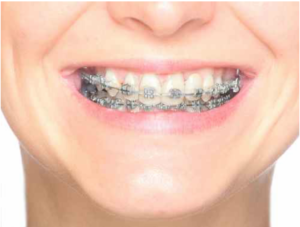 Westside Dental offers an on-site custom made mouthguard service. 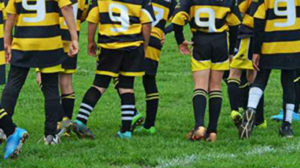 We are available to attend your sign-on days, training nights and fund-raising events to take impressions and return the new mouthguards to the club a few days later. Westside Dental has successfully provided this service to many sporting clubs in the western Brisbane suburbs for many years. If you wish to utilise our on-site mouthguard service, please contact us here to arrange a mutually suitable time. 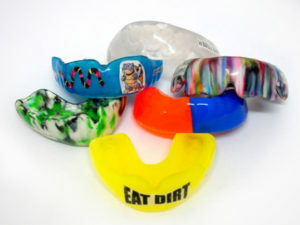 Our mouthguards are custom made to fit YOU! And many more vibrant colour combinations to choose from. We provide a NO GAP service to health fund members with dental cover. All mouthguards are made locally in our Graceville laboratory.